I have many scars from this life. Some of my scars are superficial, barely noticeable at all. While others are deeper, scars people can not see on the outside but I carry them with me daily. Then there are the scars I choose. Today I got two beautiful tattoos done. One, of a bluebird. 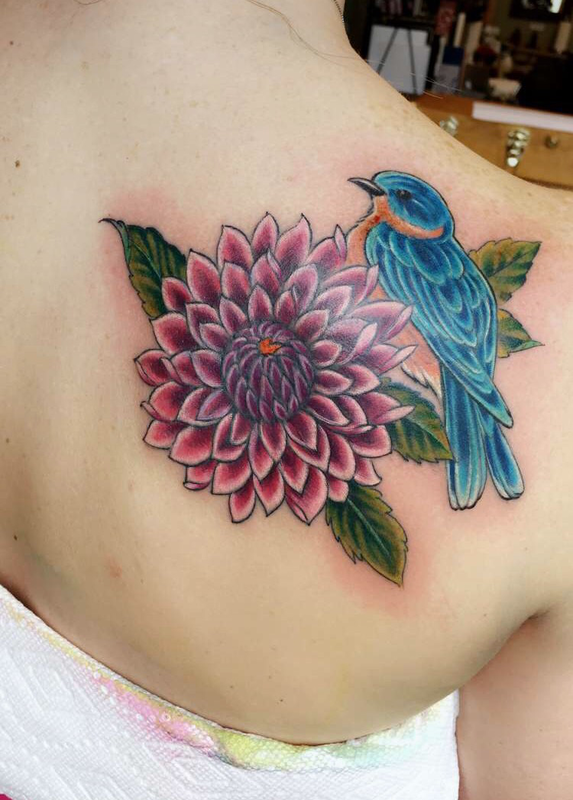 My husband called me his bluebird from lyrics in a song and one lyric reads “At night, when it’s colder, there’s a bluebird on his shoulder and he whispers that he’ll hold her one bright day.” Well now I’m the one with the bluebird on my shoulder. It will always bring me joy whenever I look at it or whenever someone asks me about it. The other tattoo I got is much more simple, but for me it’s so very powerful. My husband wrote me a card for my birthday one year. A card about purpose and he asked “What is purpose?” It is the most beautifully written card I have ever received (or even read) and I still cry every time I read it. I can tell he put a lot of time and thought into it and it’s one of my most treasured possessions. I’m not going to share the entire card but I will share a small excerpt from it. Aren’t his words simply beautiful? And this isn’t the half of it. He still amazes me, even now. 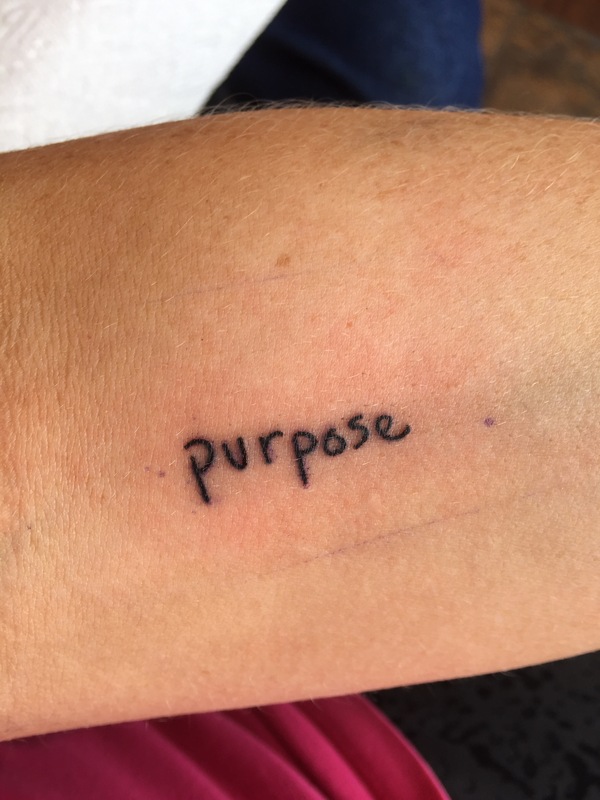 I chose to get the word “purpose” in my husband’s handwriting tattooed on my forearm. I can look down everyday and be reminded of my husband’s beautiful words along with knowing that God created me for a purpose. I can never let myself forget that. None of us should. It turned out really pretty. I know it means a lot to you. Love you!